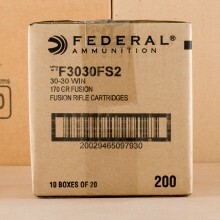 30-30 AMMO IN BULK SHIPS FOR FREE! 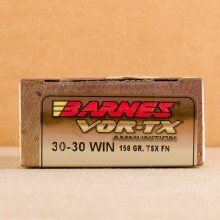 30-30 was the United States' first rifle cartridge for sportsmen designed for use with smokeless powder and has a history of serving shooters dating back to 1895. 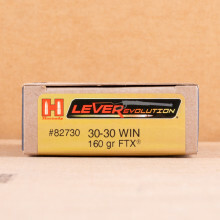 Most common in lever-action rifles, there are a few handguns chambered for .30-30 ammo today as well. 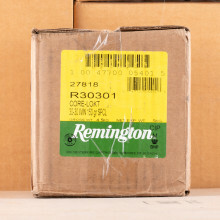 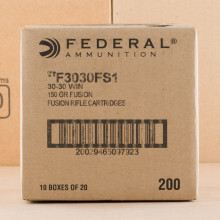 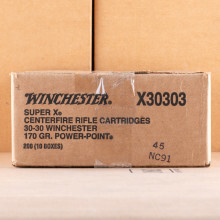 You'll typically find a variety of 30-30 hunting cartridges and bulk range rounds for sale from manufacturers like Winchester, Remington and Hornady below. 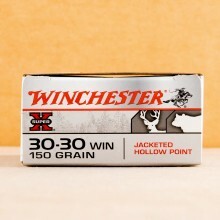 The 30-30 Winchester rifle is noted and revered for its light recoil, especially when compared to the similarly sized 30-06 Springfield cartridge. 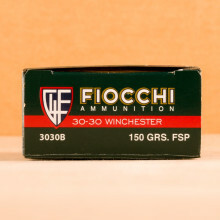 Because of that recoil, shooters today find a number of different uses for the timeless 30-30 round. 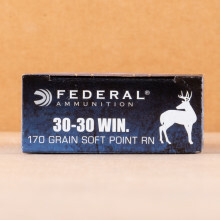 Considered just about the smallest cartridge suitable for most medium-to-large game found on the North American continent. 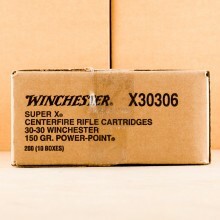 That said, you should know that the 30-30's suitability for the largest of game, like moose, is subject to debate. 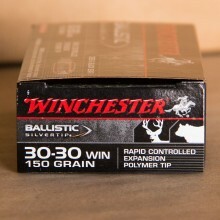 While hunters point to countless examples of moose harvested with the cartridge, there are plenty of folks who feel the round is not powerful enough to be relied upon for big game hunts. 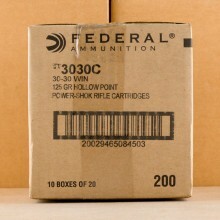 Consensus is that you can reliably hunt with 30-30 soft point bullets at a range of about 200 yards. 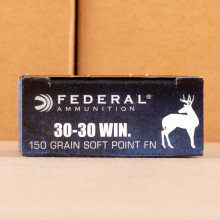 While there are certainly some exceptions, but you can generally find 30-30 bullets in flat nose, round nose, soft point, as well as ballistic (polymer) tips that range from 150-grain to 170-grain in weight. 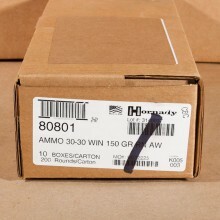 Corresponding muzzle velocities can range from about 2,500 feet per second for lighter rounds to about 1,6000 feet per second for some larger flat nose bullets.